​You can join our practices at anytime throughout the season. PARENT VOLUNTEERS make a program great!!! Shower after every practice. We do our part to keep the mats clean, but we need your help. ​Wrestling Technique Videos from camps, clinics, and by special guests to our team's practices. Our Calendar is Available on this website or via the Band app. USA Wrestling membership is required for all weekend tournaments. 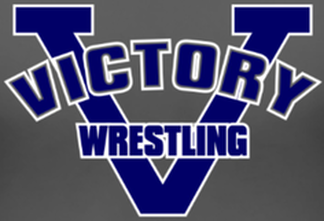 After purchasing your membership, go to the "Add Club Affiliation" tab and search Victory Wrestling (1978301) to add Victory Wrestling as your club. All participants must have a Full USA Wrestling card to participate ($45 as of 2017-18). All participants must have a Basic USA Wrestling card to participate ($15 as of 2017-18). - Sep-Oct (HS Pre-Season) - HS Age wrestlers looking to get an early start to the season, with 1 local tournament in Oct.
- Wrestlers who take the time to learn the Olympic styles of wrestling (Freestyle & Greco Roman) will expand their abilities in all three styles of wrestling: Folkstyle, Freestyle, and Greco Roman.